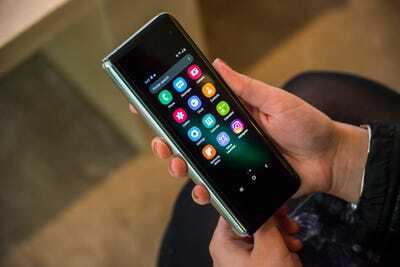 Samsung`s Galaxy Fold is the company`s first smartphone to come with a foldable display, enabling it to seamlessly switch between phone and tablet mode. Here`s a closer look at how it works and what it`s been like to use it. Samsung is just days away from releasing its first foldable smartphone, the Galaxy Fold, which will start at 1,980 when it hits stores on April 26. 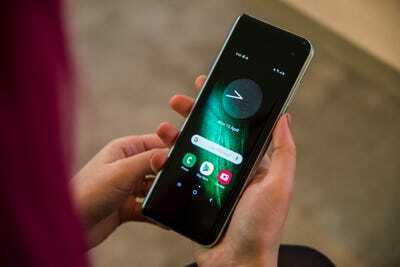 With the Galaxy Fold, Samsung is hoping to establish itself as a pioneer in the foldable phone space, a form factor that`s new to many consumers but is quickly catching on among device manufacturers. Following Samsung`s debut of the Galaxy Fold in February, phone makers like Huawei and Xiaomi made announcements about new folding phones of their own. At nearly 2,000, the Galaxy Fold is undoubtedly a luxury purchase. But after spending a limited amount of time with the device, the benefits it offers over a traditional smartphone are starting to become clear. Here`s a closer look at what it`s been like to use the Samsung Galaxy Fold. While apps work adequately on this front screen, I can see myself using it primarily as a cover that I`d occasionally glance at to check the time or read a notification. It doesn`t seem to be ideal for anything more than that. At first glance, it also looks like there`s a lot of unused real estate on the front of the device. Because the AMOLED displays Samsung uses for its smartphones are capable of delivering deep blacks, it almost looks like the screen is floating in the center of the device`s cover. 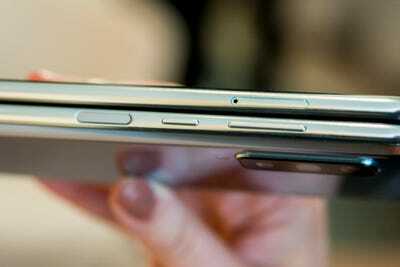 As a phone, it also feels much thicker than what I`m accustomed to. It`s chunky for a smartphone, but I imagine most people who purchase the Fold will be using it in tablet mode more often.